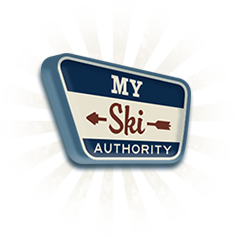 Welcome to Idaho Ski Authority. Find Your Ski Discounts Here. Idaho may be most famous for its potatoes, but it also attracts a ton of avid skiers every year. The peaks of the Rocky Mountains cut a swathe down the length of the state. Prime skiing real estate is found everywhere from the Canadian border to the Utah/Nevada state lines. During ski season, you aren’t going to find anywhere that isn’t ready with freshly groomed trails. Idaho has some of the highest verticals in the northern states. Over its eighteen major resorts and innumerable slopes, there are over 20,000 acres of skiing to explore. From Schweitzer in the northern tip with a 2,900 acre playland and a 2,400 foot vertical to Pebble Creek in the south with a 2200 foot vertical (2911, if you don’t mind the hike), there is simply a ton of great skiing in Idaho. The resorts are scattered throughout the state, most located conveniently to major state routes or I-86 in the south. Fly in to Boise, Pocatello, or Idaho Falls to reach the southern resorts. For Schweitzer, Silver Mountain, and Lookout Pass, your best bet is to fly into Spokane, Washington. Idaho is fairly rugged and not very settled. This lends to its attraction when it comes to skiing, but it also adds to the very real danger. Out of boundary skiing is available at many resorts but it comes with some necessary safety precautions. When you ski out of the established boundaries, the snow hasn’t been groomed and it hasn’t been made avalanche safe. Be smart and pack avalanche safety gear. This includes a transceiver, a probe, and a shovel. At the same time, even those who like to stay closer to civilization need to stay alert to a few basic peculiarities in the state. For example, there are ski areas in every part of the state, but know that north of the Salmon River, you’re in Pacific Time, while the rest of the state observes Mountain Time. Likewise, the weather can change quickly when traveling through the state, so keep on an eye on regional forecasts. That said, whether or not you know the state like the back of your hand, you want to plan your trip in advance to get the best prices. Skiing is amazing and when you’re on the slopes, you never want your time to end. Making the most of your money is important to stretching out that ski-cation. Let us help with your booking and rentals, and you can save up to 20%. In the meantime, don’t hesitate to write to us with specific questions about your trip. With our constant interaction with ski resorts, we have the knowledge to help you get the best deals that suit your needs. The skiing in Idaho is some of the best in the country, and we can prove it to you.